I was watching TV after a wonderful dinner tonight with Aya, and happened to come across something rather ridiculous. Where is Kai you ask? Sleeping soundly in his magic chair, so I can pump out this post in record time, and get back to the dishes. Anyway this obscene thing is called the i-unit, and basically is a huge motorized wheel-chair, which has no purpose than to move you around a gym room floor from the looks of it. The Japanese people tend to make things very efficient and small, due to their massive population, small country, and history of adopting elements from other cultures that are most productive. This massive and seemingly useless thing on the other hand, just seemed to be outta place here in Japan; I couldn’t believe they would even consider making one of these things, but there you have it. It’s been done. 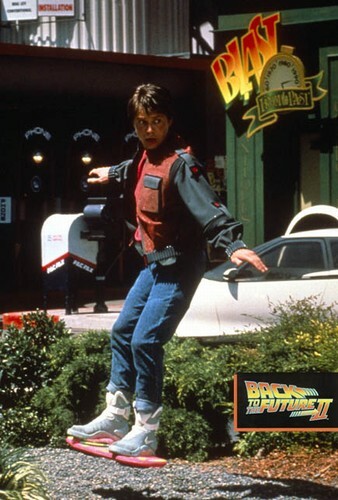 Why couldn’t they have made that sweet skateboard from Back to the Future? 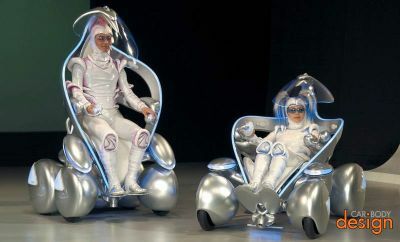 FYI: It was Toyota that created this robotic device. Just about the most efficent company in the world. Who woulda thunk it? This entry was posted in Japan, Pimp my Ride, Segway. Bookmark the permalink. That’s great! I think the moment i get to Japan, i’m ganna get one of those! I’ll be the coolest kid on the block! !